can offer inspiration and help you find the best flights available. 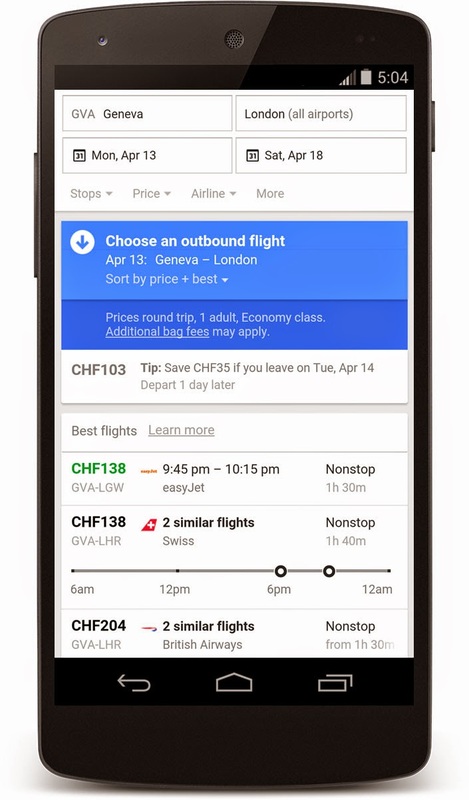 Starting today, you can use Google to quickly and easily compare and book flights — from your mobile device, desktop or tablet. Try searching for [flüge von zürich nach barcelona] on google.ch, ask Google to show you flights from Geneva to Tenerife, or go directly to www.google.ch/flights. If you haven’t decided where to travel next, expand the map in Flight Search to scan the entire world and see live prices for all the different cities you can fly. It’s a great way to explore the world around you and find somewhere new to travel. You can easily find the least expensive time to travel if your dates are flexible; just use the calendar or the lowest fares graph below that shows you when it’s cheapest to fly. Scan the similar flights timeline to compare available flights — grouped together by airline, price and number of stops. You can also quickly determine which flights are the best tradeoff between price and convenience by looking at those labeled Best flights. 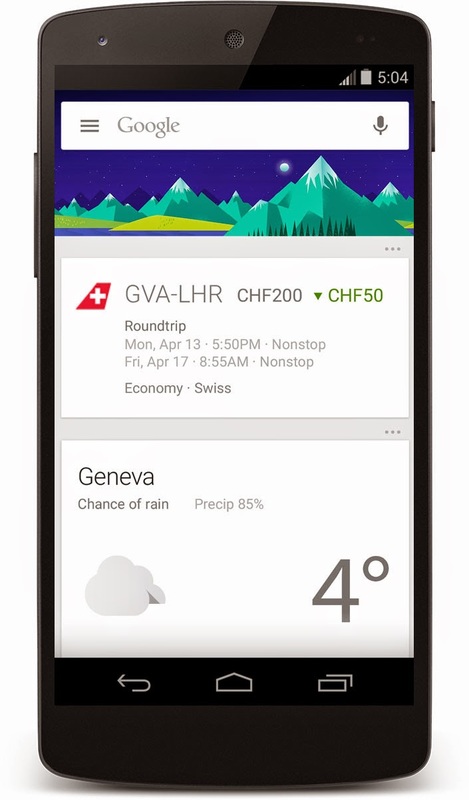 Google can also monitor flight prices for you, to make sure you don’t miss a good deal. Check out your list of saved flights within Flight Search to see if the prices are trending up or down, how often they change and by how much. You can also let the Google app on your Android or iOS keep tabs for you. 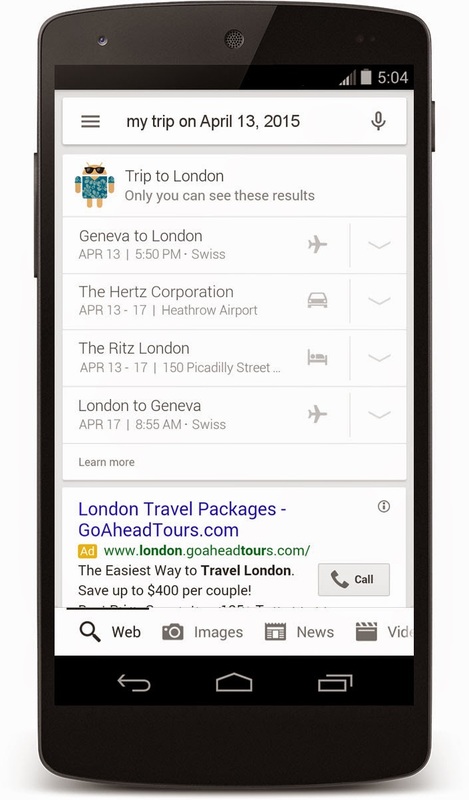 When the price drops for itineraries you’ve previously searched for on Google, you’ll see a Now card that notifies you of the airfare change. Want help keeping track of travel itinerary details for upcoming or past trips? 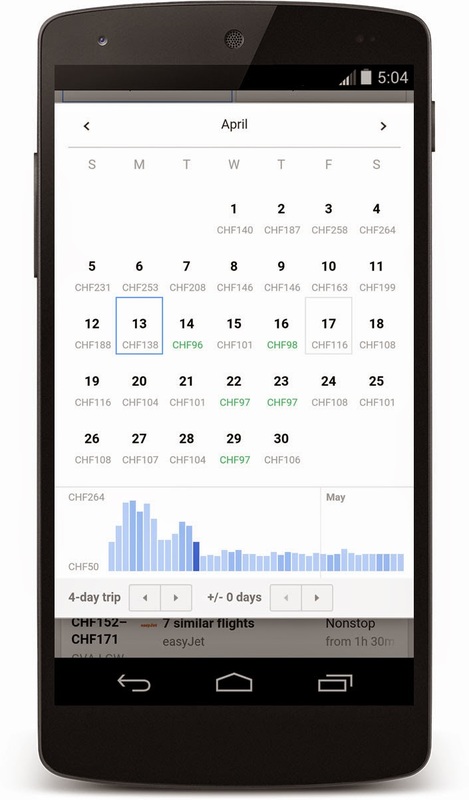 Try searching for [My trips] within Google to see a summary of your flight, hotel, car and restaurant reservations — in one convenient place. Flight Search gives you more information faster, so you can make informed decisions about the best flights for you. 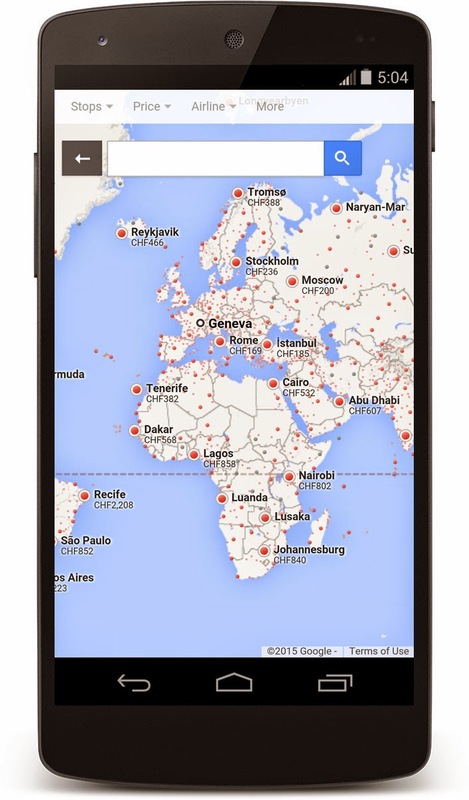 Give it a try and let Google help you with all your 2015 travel plans. Whether you’re traveling from Geneva to Barcelona, Zurich to Sydney, or you’re not sure where to go, Flight Search can offer inspiration and help you find the best flights available. 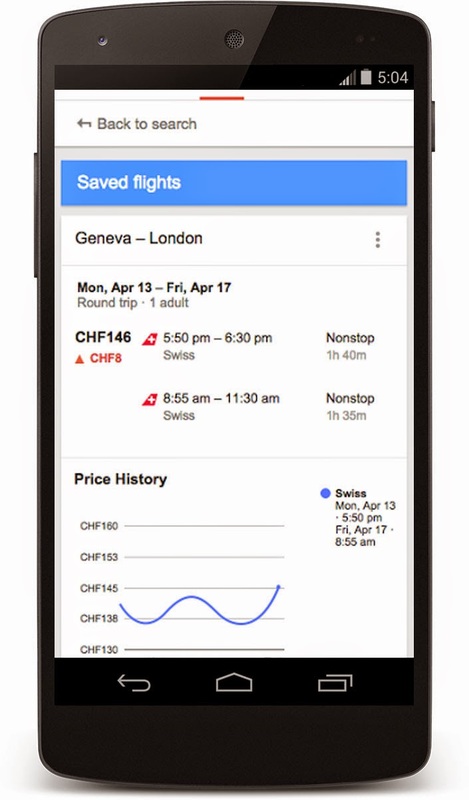 Starting today, you can use Google to quickly and easily compare and book flights — from your mobile device, desktop or tablet. Try searching for [flüge von zürich nach barcelona] on google.ch, ask Google to show you flights from Geneva to Tenerife, or go directly to www.google.ch/flights.